Goodreads Description: In the enchanted kingdom of Brooklyn, the fashionable people put on cute shoes, go to parties in warehouses, drink on rooftops at sunset, and tell themselves they’ve arrived. A whole lot of Brooklyn is like that now—but not Vassa’s working-class neighborhood. 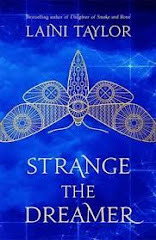 In Vassa’s neighborhood, where she lives with her stepmother and bickering stepsisters, one might stumble onto magic, but stumbling away again could become an issue. Babs Yagg, the owner of the local convenience store, has a policy of beheading shoplifters—and sometimes innocent shoppers as well. So when Vassa’s stepsister sends her out for light bulbs in the middle of night, she knows it could easily become a suicide mission. My Review: In an alternate Brooklyn, the nights are stretching longer and no one is sure why. The clocks stay the same, but each minute drags on, until even the non-magical residents of the city begin to grow restless. Vassa tries to make it through the long nights living with her step-mother and step-sisters with her best friend, Erg, a wooden doll her mother gave her on her deathbed that walks and talks back and eats everything she can get her hands on. After a fight with her sisters, Vassa takes off on a self-destructive mission to BY's, the magical convenience store that dances on chicken legs and whose employees gleefully behead shoplifters. After Erg saves her from being framed for shoplifting, Vassa is forced to work for Babs Yagg, the witch in charge of BY's, for three long nights. Vassa's nights in BY's quickly become about more than just surviving, and she begins to believe she was sent there for a reason: to put an end to Babs once and for all. Wow. What a book, kids. 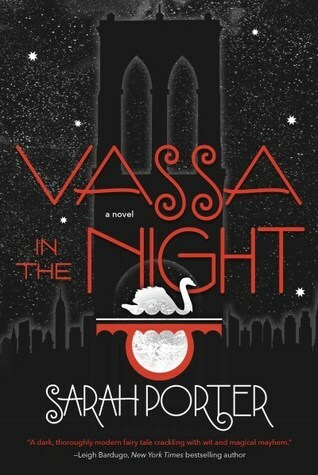 VASSA IN THE NIGHT is everything you've heard it is. It's weird, it's wacky, it's all over the place, and it's beautiful. The book is based off a Russian folk tale, and like all good folktales, this whole story is a metaphor, which can sometimes be frustrating for people looking for a more typical A to B story. There are a lot of weird things in the book that most readers are able to accept-- a wooden doll that eats, stores on chicken legs, disembodied hands, witches-- but once the story veers off into trying to explain big weirdness, I can see how some readers get lost, such as with Babs' reality bending bedroom or freeing a piece of captured night weirdly personified. It's not necessarily to everyone's taste, but I felt like all this weirdness tied together by the end. As I said, this story itself is a metaphor for growing up, grief, and finding your place in the world. We really see that through Erg and her final role in the story. At its core, the story is about Vassa getting over the loss of her mom, fully grieving for her, and accepting her home with her step-sisters. The characters themselves were all really well done. Erg was so likable and fun, Vassa was brave and headstrong, even Babs is just a lonely old woman locked away in a psychopath. The hands-- even the freakin' hands had personalities distinct from one another, which was pretty impressive considering how limited they were in communication. The only thing that tripped me up was a bit of inconsistent characterization for Vassa in regards to her voice. At the beginning of the book, we see Vassa charging off into BY's to buy light bulbs, a self-destructive move fueled by her anger at her sister, which is rooted in deeper insecurities she has about not feeling welcome in her own home. It's totally believable as a teenager move-- impulsive, self-destructive, emotional. My issue came later, when Vassa is working the cash and several of her classmates enter BY's to go 'shopping,' taunting the disembodied hands trying to frame them for shoplifting with sewn up pockets. Vassa is highly judgmental in this scene, thinking that what they're doing is reckless and stupid. She does admit that her own actions were reckless and stupid as well, and that she's probably being a hypocrite, but it doesn't stop her from being angry. This emotional response and the way she thinks about the shoppers... doesn't jive with me. It's incredibly hypocritical for one, and most teenagers aren't complete hypocrites when they have the maturity that Vassa has, and for two it feels more like the judgmental thinking of an adult rather than a kid. She dissects their actions with a depth that she shied away from during reflection on her own situation. If she was just being a hypocrite, there would be no issue, but this sudden contempt doesn't make much sense within the rest of the story, and the scene sticks out like a sore thumb to me. As for plot, tension? Both flow smoothly. The beginning especially is really well set up, and we begin with a movie-like zoom in effect where we slowly narrow in on the scene until we reach Vassa. From there, we get an excellent sense of setting and plot, and after Vassa has settled into her job of working at the store, the real weirdness begins. Vassa undergoes three night's worth of trials, slowly collecting allies that help her attempt to overthrow Babs. The writing all throughout was incredible, and often times I felt like I was reading one long poem. I know some readers complain about purple prose, and if you're one of them then you're better off avoiding this book. This book is a love letter to writing, and doesn't shy away from flowery prose or metaphor stacked upon metaphor. The book is called dark, and while I don't exactly agree with that label, it is definitely gory at times, with people being decapitated and their heads put on stakes, and several characters being chopped into literal pieces. So if you can get squeamish, keep in mind there is violence, even if it is minor. TL;DR: All in all, 4/5 stars. A weird and lyrical story of a girl finding her place in the wake of her mother's death, coloured with beautiful Russian folklore.